This article is about the political party in Spain. For other uses, see Chunta. The Chunta Aragonesista (CHA; English: Aragonese Union) is a political party of Aragon (Spain), influenced by eco-socialism and pacifism. CHA defends a federal state, greater financial resources for Aragon, and the protection of the environment and hydrological resources of the Ebro Valley. It promotes the use of the Aragonese language. The National Assembly is the highest organ of representation and decision of the Chunta. It establishes political policies, programs and principles, and chooses the members of the Mayan of Lawsuits, to those of the National Committee and to the president of CHA. A group of delegations from each local organization meets once every three years with the power to modify the statutes and the regulation of the organization. In the 2000 and 2004 parliamentary elections, CHA won 0.4% of the vote and 1 seat for José Antonio Labordeta, a folk singer in the Zaragoza constituency. It lost the seat in 2008 after Labordeta retired from the congress. In the 2011 election it regained the seat as part of an electoral alliance with United Left. Chunta Aragonesista is a member of the European Free Alliance and the European coalition, Europe of the Peoples. José Luis Soro has been the president since February 2012. 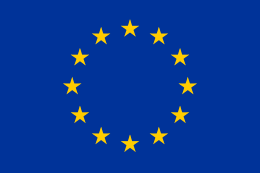 In 2005, the party campaigned against the ratification of the European Constitution. 1 2 Rendering the party's name has created some confusions due to the similarity with the Spanish word junta. The right translation of Aragonese chunta is unión in Spanish and union in English. This is clearly explained in the party regulations and, during the first years, both names in Spanish and Aragonese were used together as Unión Aragonesista/Chunta Aragonesista with the acronym UA/CHA. The word Aragonesista, too, presents problems. A more literally accurate (if less common) translation is "Aragonist," i.e. pro-Aragon, not just from Aragon (aragonés).